Lets not live in FEAR instead let's be PREPARED! Free Community Women's Self-Defense Seminar to help keep our community safe. 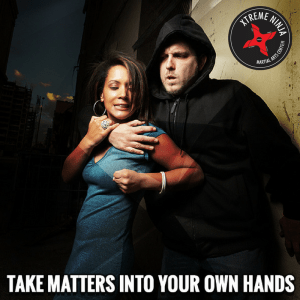 At Xtreme Ninja we are always taking action to help keep our community safe!! We will be teaching a one and half hour Krav Maga Self-Defense course on Saturday, February 2nd from 9-10:30 AM for teen and adult females. This is a free Community Self-Defense Awareness for Xtreme Ninja members, family, friends, co-workers, and free to our Medford community. Ladies, it can be a scary world out there, but that doesn’t mean we want you to walk around paranoid or in a plastic bubble. It’s true that 1 in 6 women will be attempted raped in their lifetime, so chances are that you, or someone in your circle of friends could use the tips in our quarterly self-defense seminar. 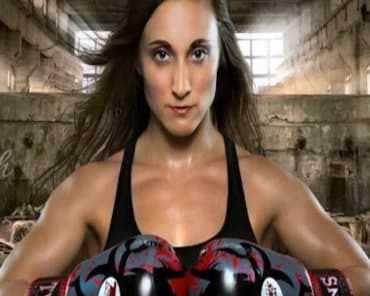 We believe that by regularly participating in self-defense classes, or even taking our Free Community Women’s Only Self Defense Classes we host each quarter, that learning practical and realistic Krav Maga Self Defense will help ease your worries and prepare you for anything that could happen to you. Each quarter we have a theme on what self-defense techniques we work on so every seminar is different. It is so much better to be trained vs untrained. Come to our seminar and get educated, trained and leave being more aware. "DO YOU WANT TO BE TRAINED OR UNTRAINED? We teach this Reality-Based Self-Defense system in our Martial Arts program. If you would like Master Ninja Nguyen to teach this for your company or any group gathering please contact us. For more info call 781-395-7131 or email: info@xtremeninja.com. To RSVP, pressing the "GOING" button at top and register at https://bit.ly/2FsC84t. Let us know how many people you plan to bring. Please help us spread the word. If you have RSVP with us and planning to come wear something that you feel comfortable training in. It can get hot so we recommend light breathable clothing. No dress for skirts please!! You may want to bring your own water bottle. We also sell water and sports drinks.